Considering the short list of distinguished pastors until 1861 whose time in the pulpit of Trinity Lutheran Church could be counted in decades, Pastor F. W. Conrad's mere two years as Gottlob Krotel's successor seem like a hiccup in the church's chronology. 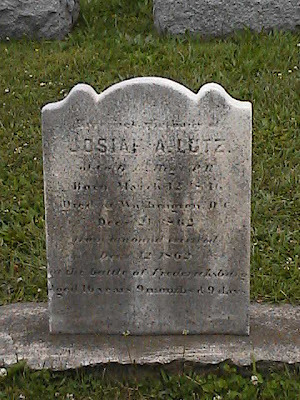 Through his actions, preaching, and lectures, Conrad would, however, play an important role connecting the congregation to the war, most uniquely through an October 1862 aid mission to the Antietam battlefield on behalf of the Patriot Daughters of Lancaster. Born in 1816 in Pine Grove, Schuylkill County, Conrad represented a very different type of Lutheran than what Trinity Lutheran Church was used to. Specifically, as a student of Samuel Simon Schmucker at Gettysburg Seminary, Conrad fit into the tradition of "American Lutheranism" that emphasized personal piety, union with other Christian denominations, revivals, and abolitionism more than the "Old Lutherans," who advocated a stricter and more explicit adherence to the Lutheran Confessions. A series on the leadership characteristics of George Washington written by F. W. Conrad for publication in the Express in early 1863. "the Age in which we live"
"the Country which we inhabit"
"the Government under which we dwell"
"the Gifts of his Providence"
"the religious privileges we enjoy"
To what, I ask, shall her fall be likened? but to that of Lucifer, the Son of Morning, from the towering heights of heaven, down to the unfathomable depths of hell; and as he fell not alone, but corrupted and involved in his fall, millions of other angelic beings, so too will America not fall alone, but influence and involve in her ruin the nations of the earth, and the fall of America will be the fall of the World. After the Battle of Gettysburg, Conrad naturally led efforts to raise money to support the battle-damaged Gettysburg Seminary and College. A committee from Trinity Lutheran Church collected $299.75. 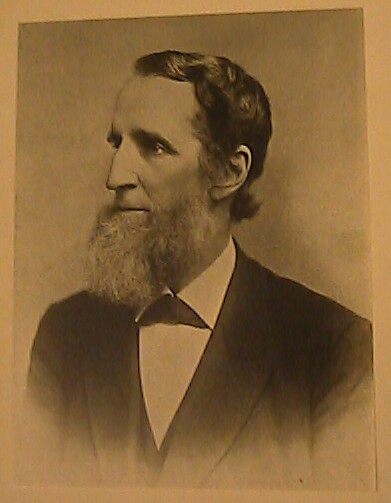 In early 1864, possibly with a split among Lutherans on the horizon, "American Lutheran"-leaning Conrad left "Old Lutheran"-leaning Trinity for a congregation in Chambersburg, although Conrad did leave on fairly good terms with certification by Trinity's vestry that he adhered to the Lutheran Confessions in his teaching. During the Confederate raid on the city, Conrad's house was intentionally targeted and ransacked. He continued to anger conservative Democrats there, and even earned a lengthy tirade entitled "Desecration of the Pulpit" in the Valley Spirit on November 16, 1864, which can be viewed at the linked page as part of the Valley of the Shadow project. I also have saved images of a letter sold on Ebay a couple years ago written by Conrad to his brother-in-law at the beginning of the war.